A gripping tale of the alienation that we carry within. 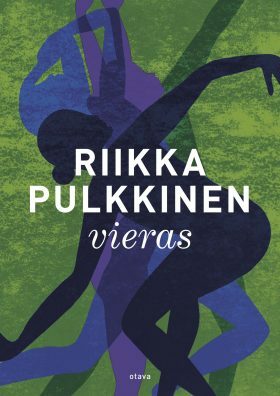 Maria, a parish pastor wracked by a heated internal debate between responsibility and the need to escape, leaves her life in Finland behind and travels to New York. Maria meets a woman who opens the door to the world of dance. Step by step, she gains the courage to reflect on the secret she has carried with her across the ocean. What evil was done to that little girl who tried to make Finland her home, the girl whose diary Maria carries with her? The novel pulses with the restless rhythms of dance and the density of heavy, haunting night-time memories. Pulkkinen brings intelligence and all the senses to the fore in her treatment of alienation, religion, and corporality. Riikka Pulkkinen creates ambitious reflections on humanity, with great deliberation and meticulous consideration. The tone [is] set high up on the Dostoyevsky scale. In the absence of ironic distance there is also a bravery, though that doesn’t prevent The Book of Strangers from displaying sharply perceptive writing… Good pressure-points and presence in its dense prose and intense portrait of a person and a mindset. A very clever novel, and you can’t help but be drawn straight into its flourishingly created world.